Classic Elite Yarns: CEY and Signature Needles, Together! 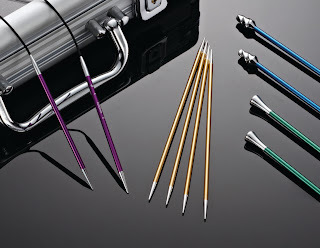 CEY and Signature Needles, Together! This has been a great year for knitting events. One particularly exciting one that's approaching is Interweave's Knitting Lab! As knitting creeps deeper into the public consciousness, knitters are becoming more and more advanced and their hunger for intermediate to experienced-level knowledge grows. 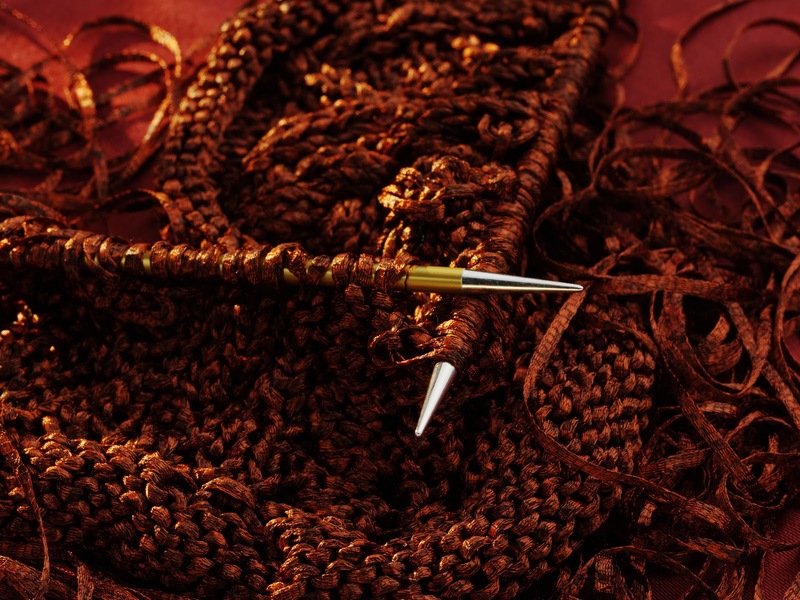 Interweave responded with Knitting Lab, an event with shopping, classes, lectures, and special events, all catering to the inquisitive, post-beginner fiber enthusiast...and Classic Elite will be there! Heather, our sales manager, will be walking the floor and checking out all the CEY knits out there (if you didn't catch the blog post on Friday, we are giving away a $75 gift basket to a lucky knitter wearing CEY). You can probably catch her by the yarn tasting area, where you'll have a chance to knit some luscious fibers with some fabulous needles! This year, we are thrilled to be bringing along Soft Linen, Avenue and Liberty Print to the show floor. Soft Linen is a blend of fibers that can only be described as perfect: 35% Linen, 35% Wool, and 30% Baby Alpaca. I love the crispness of bast fibers (linen, hemp, nettles, etc.) but find them to be hard on my hands. Soft Linen combines that crispness with the softness and drape of baby alpaca, and the insulating qualities of wool. Avenue is a new yarn for Fall 2011, and, as the name suggests, it imparts a city feel. Not particularly "woolly", Avenue is a marled fiber in eight sophisticated colors made up of 42% extrafine merino, 29% silk, and 29% viscose. It is soft and knits up into a unique fabric that is perfect for simple silhouettes that benefit from a fabric with plenty of drape. Try it out, you might like it! What can we say about Liberty Print besides that it's fabulous! The color shifts, the springy ply, the machine-washability without the weird squeakiness of "superwash"! Contributing to Liberty's buttery feel is a secret process that renders it machine-washable but helps it retain its soft woolliness. It can be difficult to see the spectacular colors without knitting a swatch, so we thought this would be a great yarn to bring along. 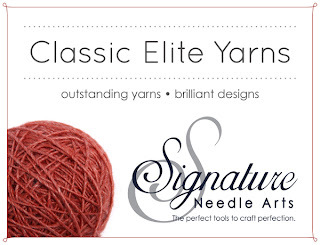 At this event, Classic Elite Yarns has a partner! 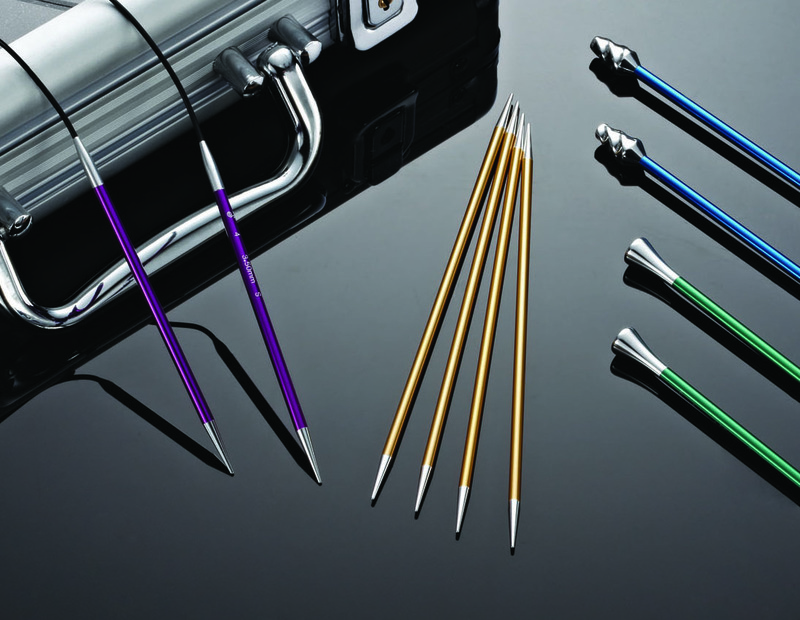 Signature Needle Arts, cult producers of precision-crafted, lightweight aluminum needles, have generously provided us with needles for the tasting area! The opportunities to use these stunning needles are so rare, and their following so devoted that this is a must-visit if in San Mateo area. For updates from Knitting Lab, whether you're there or following along from home, follow us on Twitter at @ceyarns. See you there!